Scotch & Soda is circus and jazz, served straight up. 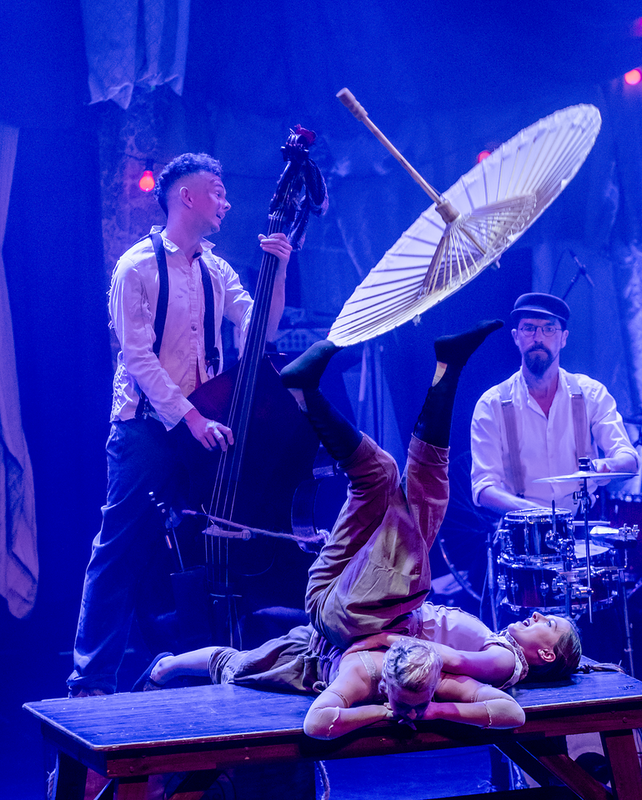 A show that is an actual cocktail of exciting artistic personalities, world class circus, heart pounding barroom and junkyard jazz, and one final ingredient - the audience. Channelling the vibe of a rowdy whiskey joint set in a dusty parallel universe, somewhere between depression-era travelling circuses and Europe's 19th Century carnival past, Scotch and Soda will set your night off with a bang. 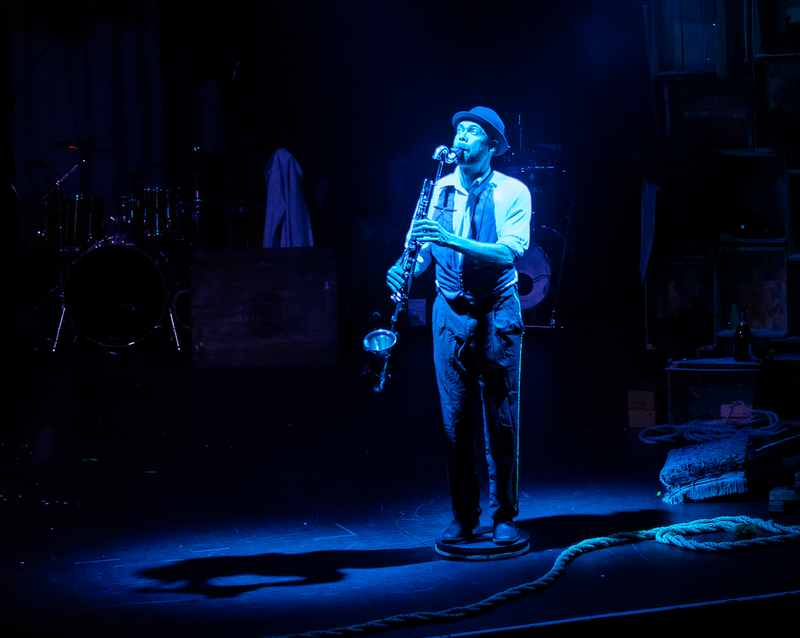 With a heartfelt blend of brass, wood and strings, the virtuosic Uncanny Carnival Band will have everyone jumping, whooping and clapping. Each musician one of Sydney's finest, plucked from the top shelf. Set them loose on the stage and things are going to get spectacularly messy. With the musicians getting in on the acts and the acrobats playing music, this unique genre-bending party is not to be missed.